When it comes to qualities such as passion, enthusiasm, energy, and creativity, the majority of the American workforce could be described as "severely lacking." Too many people just go through the motions, viewing work as something they have to do rather than something they love to do. This translates into lackluster performance, lost opportunities, and a staggering loss of profits. So how does a team leader turn a business-as-usual team into a remarkable one? Remarkable! is an entertaining and enlightening business parable that has the power to turn any team around. Through the humorous and eye-opening story of Dusty, leaders will discover how to build a culture that inspires team members to bring the best of who they are to the table every day. 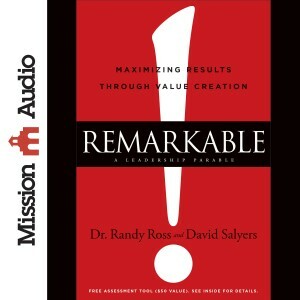 Addressing the three dimensions of culture--values, beliefs, and behaviors--Remarkable! introduces readers to the Four Maxims of Value Creation: creativity, positivity, sustainability, and responsibility. It shows leaders the most effective ways to cultivate these qualities in their team members and how to craft a corporate culture where people can thrive. When Ben Underwood became blind at the age of two, anyone would have thought he faced a life full of hardship and uphill challenges—a world full of things he’d never be able to see and activities he’d never be able to enjoy. But as far as his mom, Aquanetta Gordon, was concerned, nothing was impossible for Ben . . . and so he accomplished the incredible. Known as “the boy who could see with sound,” Ben mastered human echolocation—the ability to detect the size, shape and location of objects through the reflection of sound waves. By clicking his tongue and “seeing” the waves, Ben could ride his bike, shoot baskets, identify objects, and even play video games. Some called it a miracle, but to Ben and Aqua, the real miracles were the otherworldly experiences God gave Ben—physical and spiritual—that others couldn’t explain. 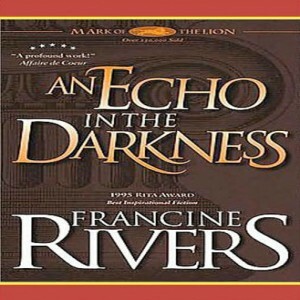 Echoes of an Angel is the remarkable true story of how a child who seemed destined for darkness brought light to the world. It’s the story of a single mom who encouraged her son to push beyond his limits, even as her heart clenched with protective love and fear. And it’s the story of a family’s unshakable faith . . . in God and each other. Lisa Gungor thought she knew her own story: small-town girl meets boy in college and they blissfully walk down the aisle into happily ever after. Their Christian faith was their lens and foundation for everything - their marriage, their music, their dreams for the future. But as their dreams began to come true, she began to wonder if her religion was really representative of the "good news" she had been taught. She never expected the questions to lead as far as they did when her husband told her he no longer believed in God. The death of a friend, the unraveling of relationships and career, the loss of a worldview, and the birth of a baby girl with two heart defects all led Lisa to a tumultuous place, one of depression and despair. And it was there that her perspective on everything changed. The Most Beautiful Thing I've Seen tells the story of what can happen when you dare to let go of what you think to be true, to shift the kaleidoscope and see new colors and dimension by way of broken pieces. 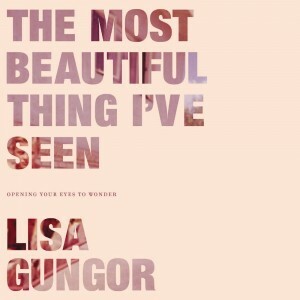 Lisa's eloquent, soul-stirring memoir brings you to a music stage before thousands of fans and a front porch where two people whisper words that scare them to the core. It is the story of how doubt can spark the beginning of deeper faith, how a baby born with a broken heart can bring love and healing to the hearts of many, and, ultimately, how the hardest experience in life often ends up saving us. 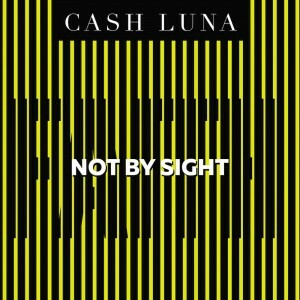 Cash Luna, renowned pastor and author, presents his new book, Not By Sight, an anthology on faith, based on 2 Corinthians 5:7. The foundation of our life of faith are the promises and teachings that our Father shares with us in his word. He wants us to walk by faith and not by sight because our senses can deceive us. Believe in the Lord and declare your blessings in your life, because you have dreams to achieve and miracles to witness. Live by faith! To walk by faith takes courage and humility because we must close our eyes to the pessimism of the world and let ourselves be guided by the promises of blessing from our Heavenly Father. Living by faith, contrary to what some believe, is a matter of higher minds with criteria to speak and act according to what is really accurate, the word of God. Let us dare to challenge our faith at all times, since it is the most powerful and effective tool when we need to believe for daily sustenance and also when we need to believe by extraordinary miracles of healing and provision. What you see of God is only part of the story. From the time Blake Healy was a small child, he has seen angels, demons, and other spiritual things. He sees them with his naked eyes, as vividly and clearly as anything else. Everyplace he goes, every person he meets, every day that goes by, he sees in the spirit. After thirty years of seeing in the spirit, one thing has consistently been the most painful for him to see. It is not when he sees someone trapped in demonic oppression. It is not when he sees the gaping wounds of emotional trauma. It is when he sees the goodness of God go unclaimed by His people. 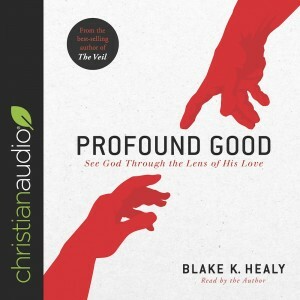 In this audiobook Healy takes listeners on a journey of rediscovering the goodness of God. It fills the churches we visit every week. It moves across the sea from nation to nation. All we have to do is learn how to see it and receive it, and then we will watch every corner of the world be completely transformed by the power of His profound good. Modern Christians have often hesitated to embrace the ancient creeds because of our "nothing but the Bible" tradition. 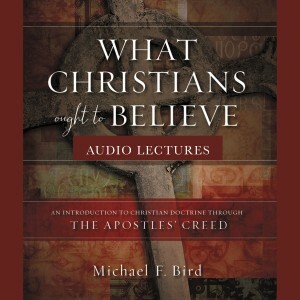 In What Christians Ought to Believe: Audio Lectures, together with the accompanying book What Christians Ought to Believe, Michael Bird opens our eyes to the Apostles' Creed as a resource to explore and understand the basic teachings of the Christian faith. Bringing together theological commentary and tips for application, What Christians Ought to Believe: Audio Lectures summarizes the basic tenets of the Christian faith using the Apostles' Creed as the entryway. After first emphasizing the importance of creeds for the formation of the Christian faith, lessons introduce core beliefs about the father, the son, the spirit, and the church. 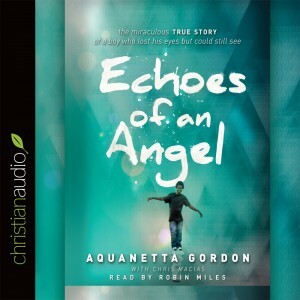 What Christians Ought to Believe: Audio Lectures is ideally suited for both the classroom and the church setting to help beginning students and lay learners wanting to better understand what Christians ought to affirm if they are to be called Christians. God is always speaking . . . even when He doesn't use words. We live in a post-verbal society that communicates through images--television, smartphones, the Internet--and our Creator longs to communicate with us visually if we'll live with our eyes wide open. 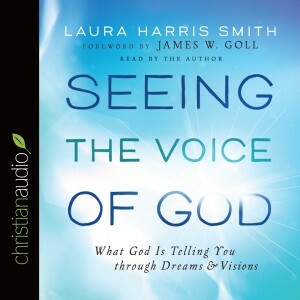 With absorbing insight, Seeing the Voice of God demystifies nighttime dreams and daytime visions, revealing the science behind the supernatural and giving you a biblical foundation for making sense of what you see. You'll also: learn to discern if what you see is from God study the ten most common types of dreams discover spirit, mind, and medical tips for better dream recall interpret dream symbols and imagery review the best iPhone and Android sleep cycle apps Includes a comprehensive Dream Symbols Dictionary with over 1,000 biblical definitions. In a time of Israel’s greatest need, an elite band of King David’s warriors known as the Mighty Men are all that stands between their people and destruction at the hands of the ruthless Philistines. 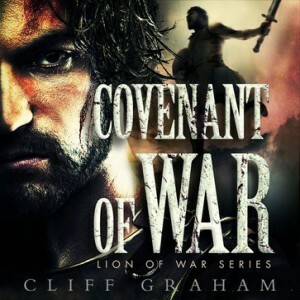 Part two of the Lion of War series brings the actions of those heroes and the terror of the ancient battlefields to life. 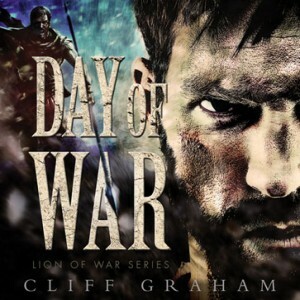 Day of War is the gritty, intense, and stylistic portrayal of the adventures of King David and his Mighty Men, found in 2 Samuel 23 and 1 Chronicles 11. 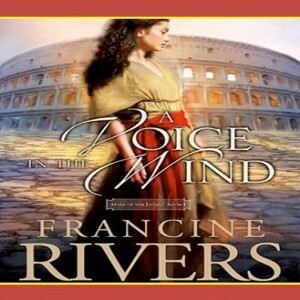 A Voice in the Wind takes listeners into a richly imagined ancient Rome in the midst of its great decline. 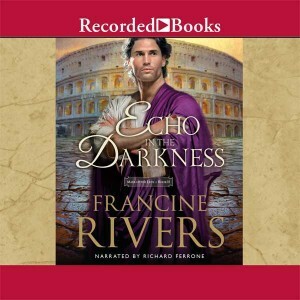 As a Roman trader grieves over a lost slave woman, he begins to learn about the faith that gave her enough strength to face death. 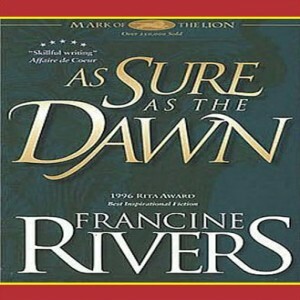 Following A Voice in the Wind and An Echo in the Darkness, As Sure as the Dawn continues the chronilcles of Hadassah, a Christian slave woman living during the height of the Roman Empire. 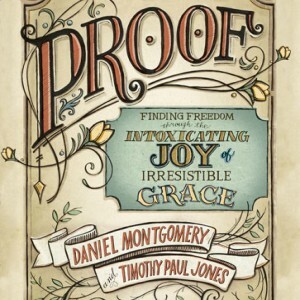 Proof stands for planned grace, resurrecting grace, outrageous grace, overcoming grace, and forever grace. The authors offer proof of God's grace on which people can stand against the attacks of cheap grace and legalism that have led many of God's people to lose sight of the freedom and joy of the gospel. And this proof is intoxicating---it's like a 200-proof drink that will leave you spiritually staggering at its effect on your life. God's grace not only declares us 'not guilty!' in his presence, it changes our relationship with God---forever. 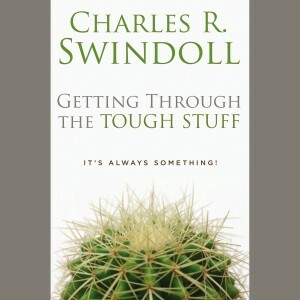 The pace of life, and the demands of life, just keep getting more intense.Â And for many, these tough times bring life crises.Â This is a book of encouragement, hope and freedom... an invitation to meet Christ at the crossroads of our lives and move beyond the tough times.